Both noteworthy designs are attractive and prominent. 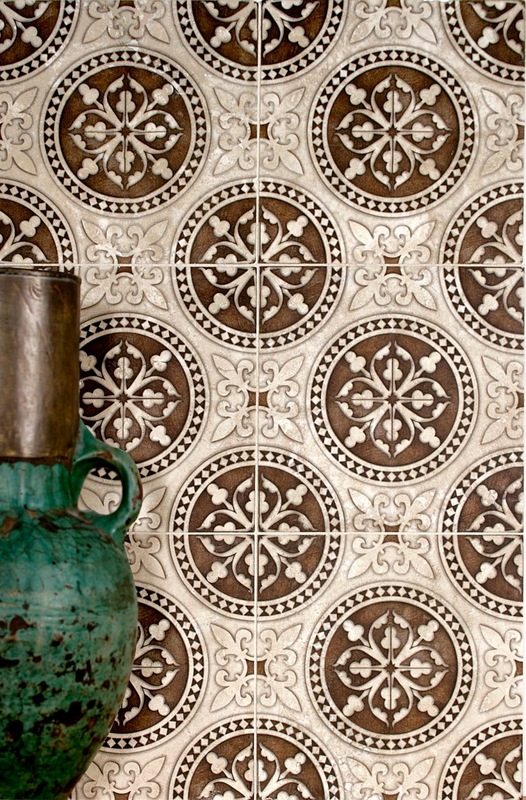 The Paradox Tile Collection is striking and gets right to the point. 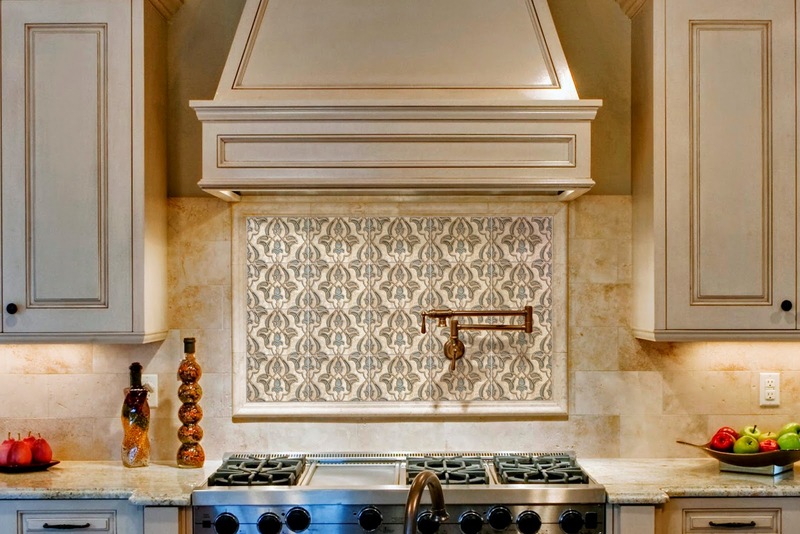 The daring lines and symmetry will add personality to any kitchen backsplash or master bath. 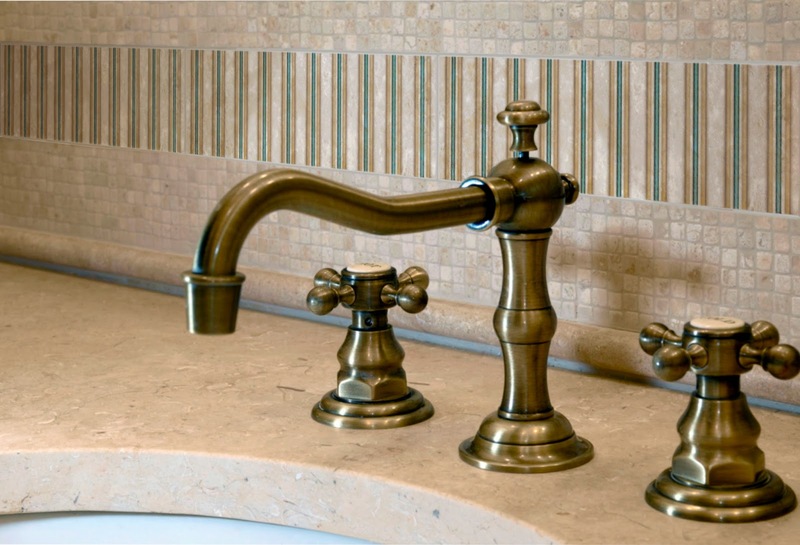 The classic, rich colors work perfectly with the natural stone and will create a mid-Century feel. 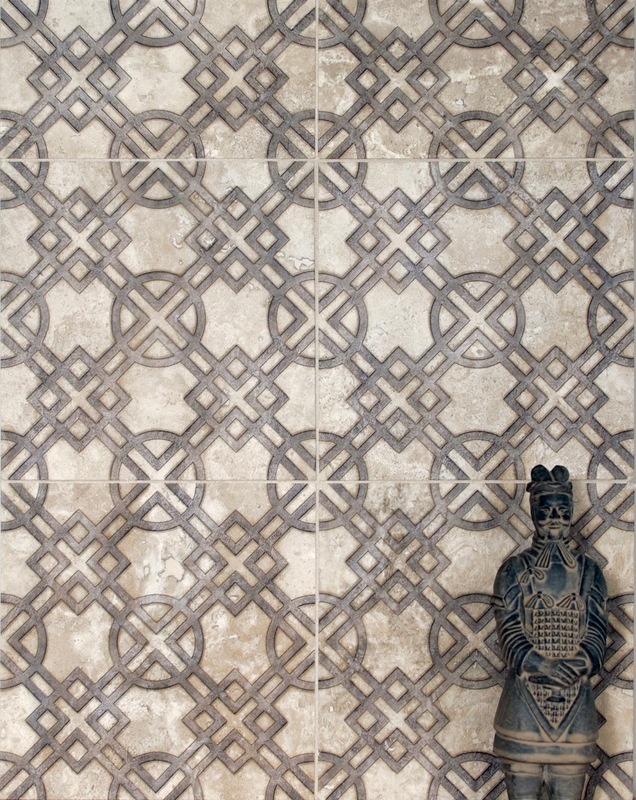 Striking and bold, the Cara Tile collection will capture your attention immediately. 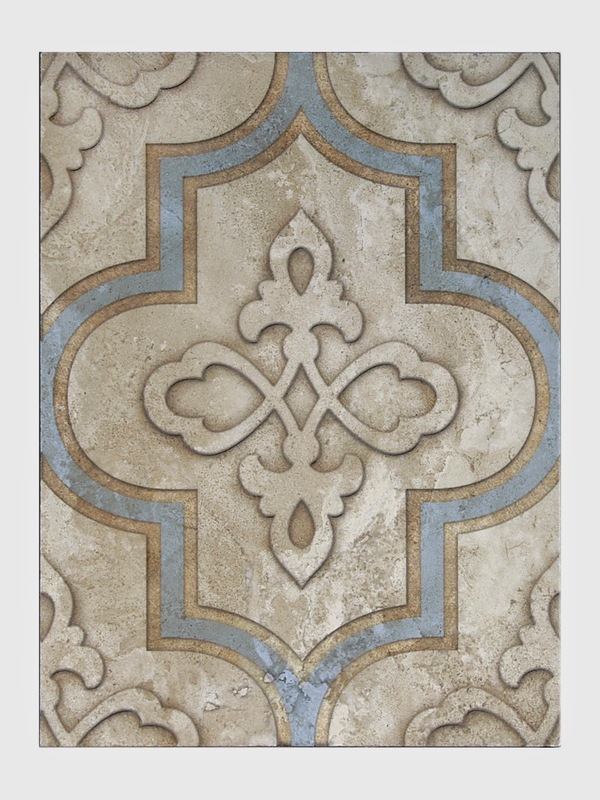 The refined combination of colors and ornate shapes will remind you of the enchanting streets of Paris every day. 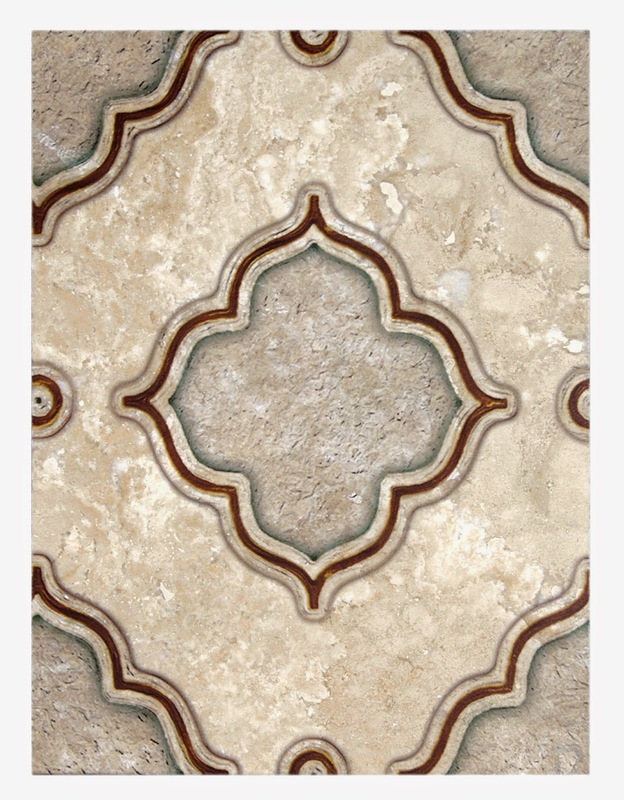 This eye-catching collection adds elegance and richness to any room in your home. Like other signature Artisan Stone Tile products, the Cara and the Paradox Collections are created using an exclusive artist-developed process for hand printing on natural stone. 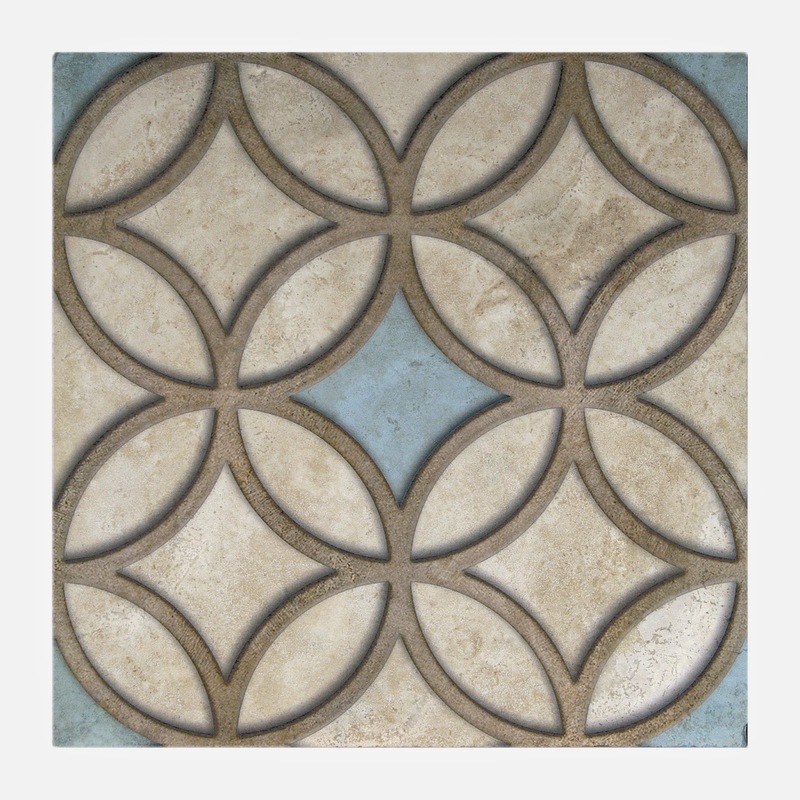 Available in 4x4, 4x8, 6x8 and 8x8 tile on Honed Durango.Always in stock for quick delivery. 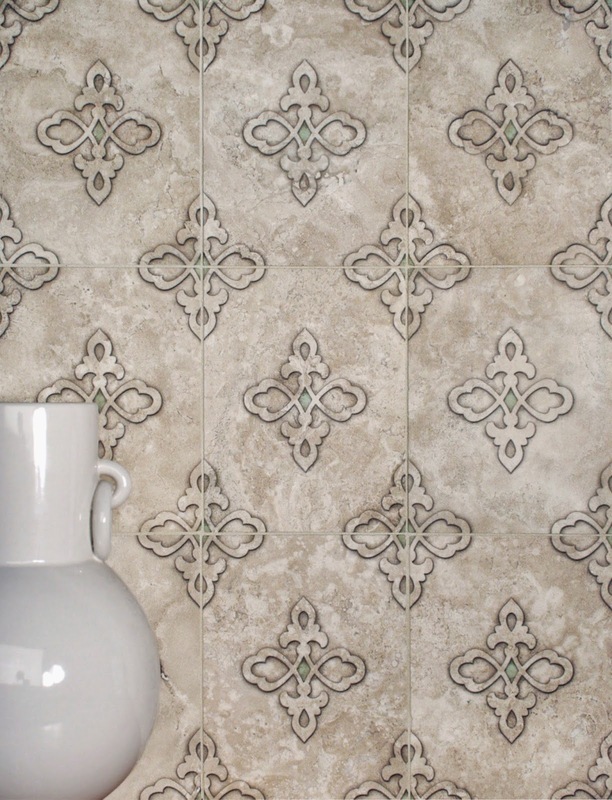 Keystone Tile Collection features a warm, welcoming tile pattern to add a touch of sophistication to any kitchen or bath. 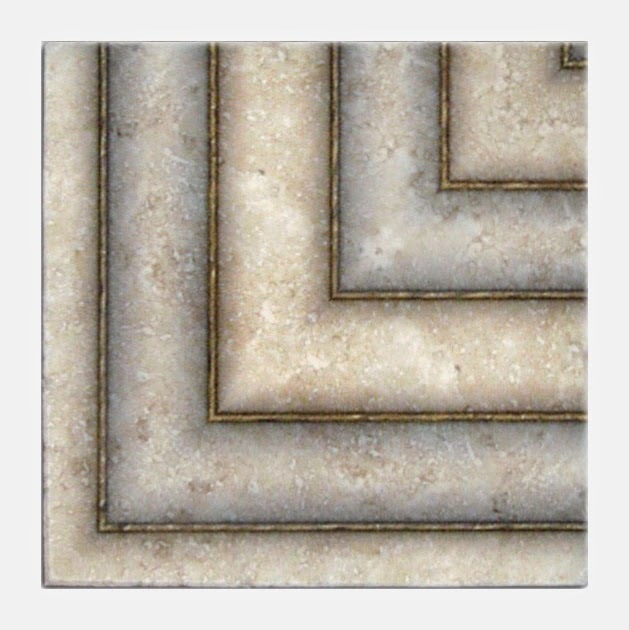 This tile design offers great depth, detail and feeling with its clean lines accenting the natural stone. Go bold with the deep Onyx color or keep it on the softer side with the cheerful Citrus, Mint or Sea colors. 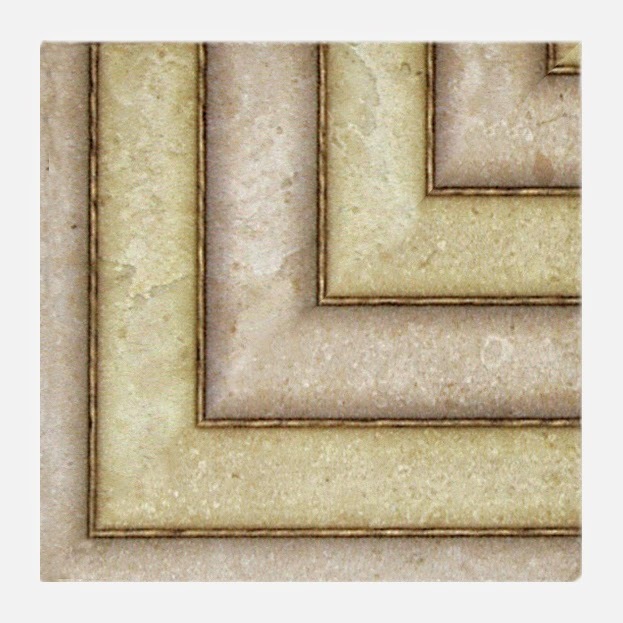 Like other signature Artisan Stone Tile products, the Keystone Collection is created using an exclusive artist-developed process for hand printing on natural stone. 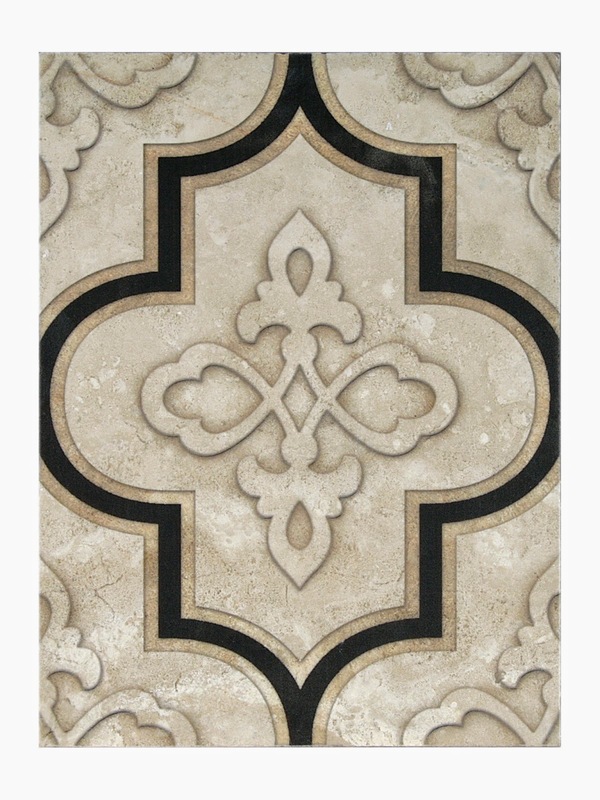 Available in 6x8 tile on Honed Durango.Always in stock for quick delivery. 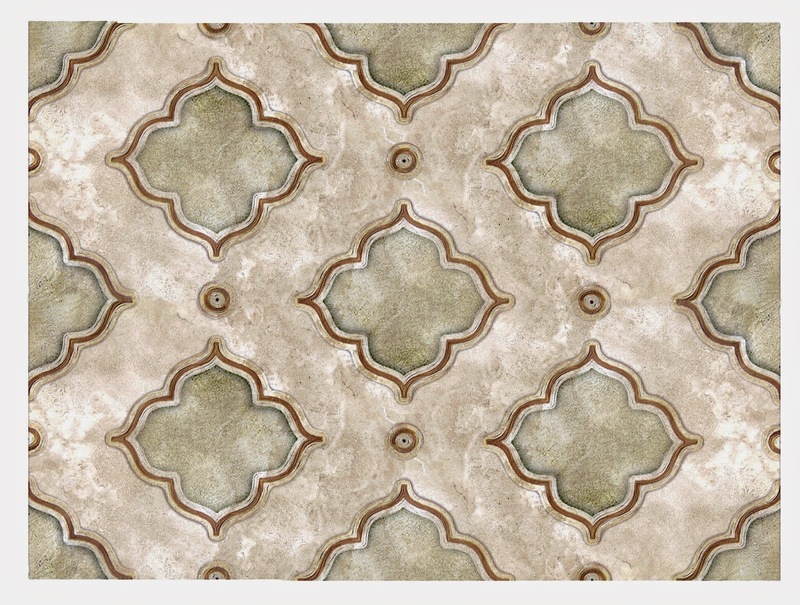 You will feel like you are walking down the Avenue des Champs-Élysées with the Serena Tile Collection accenting your kitchen or bath. 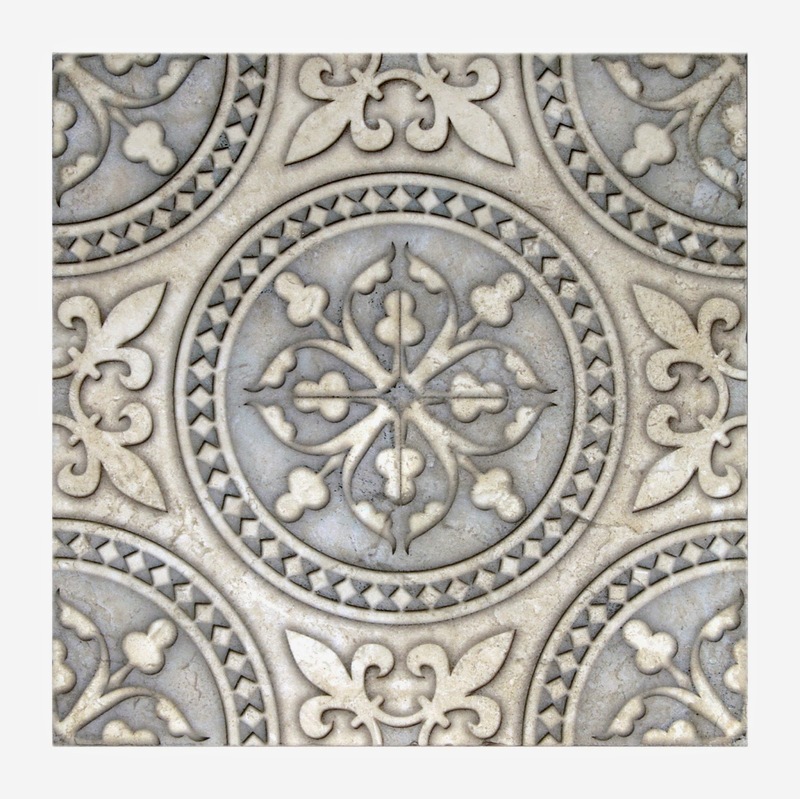 Instead of finishing your French provincial home with a vintage chaise, dress up your kitchen or master bath with these timeless tiles. 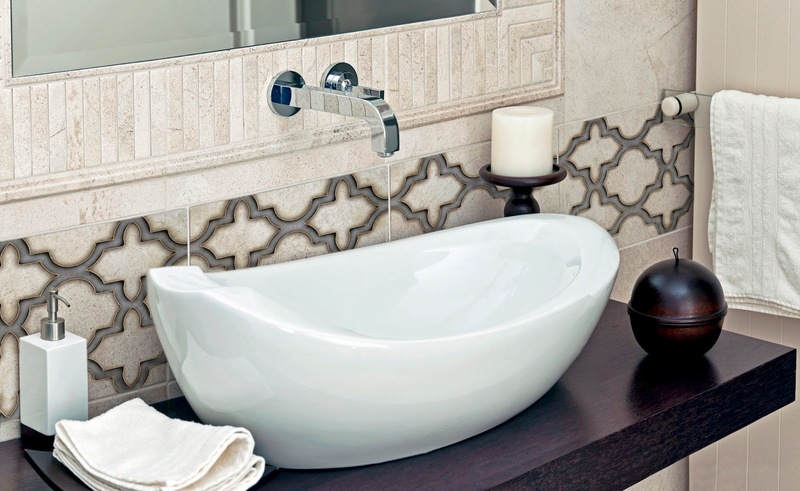 Simple, yet contemporary, the Newport Tile Collection will make your home feel like you’re steps away from the smooth sand and crashing waves of Cape Cod. The stripes and soft hues will complement any modern or traditional home. 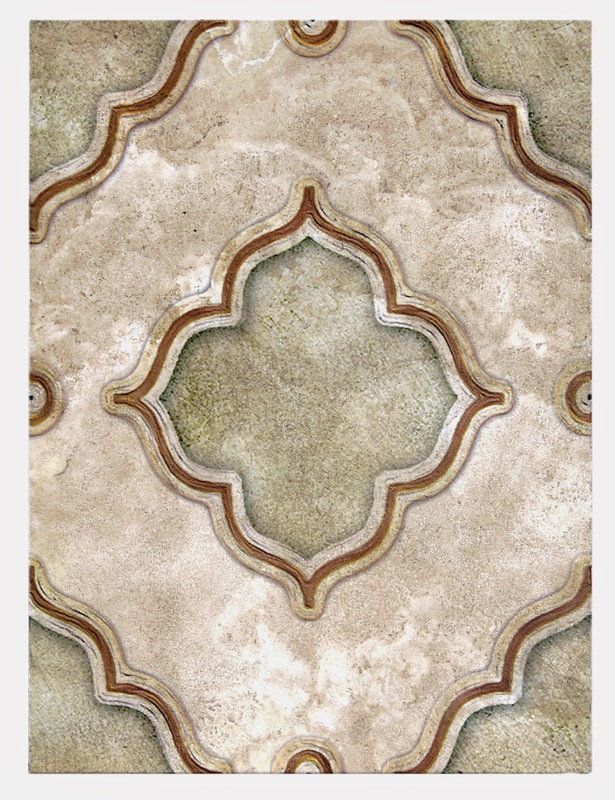 Like other signature Artisan Stone Tile products, the Newport and Serena Collections are created using an exclusive artist-developed process for hand printing on natural stone. Available in 2x2, 4x4, 2x8, 4x8, and 6x8 tile on Honed Durango. Always in stock for quick delivery. 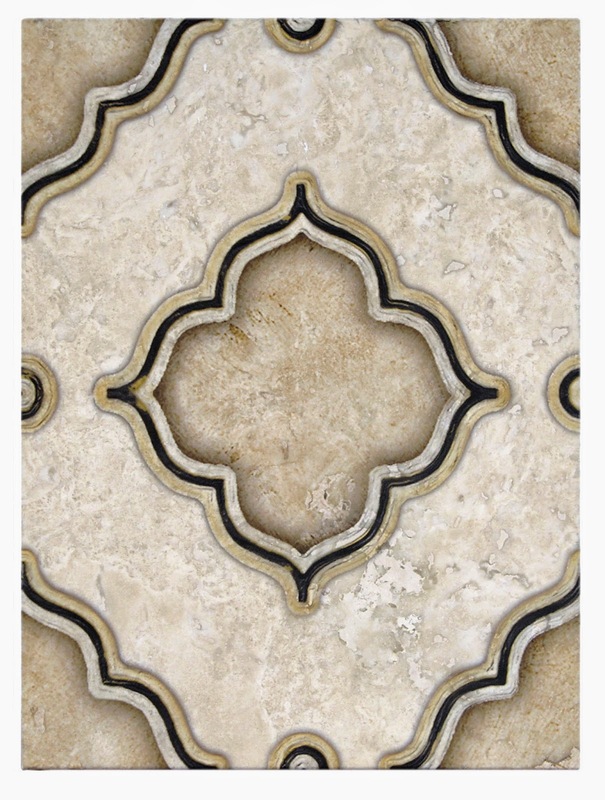 The unique shape and style of the Kensington Tile Collection work in any type of home. Whether you live in a French cottage in the country side or you overlook Fifth Avenue, this collection will complement a traditional or modern home. The dark lines paired with the soft hues create the perfect balance of colors. 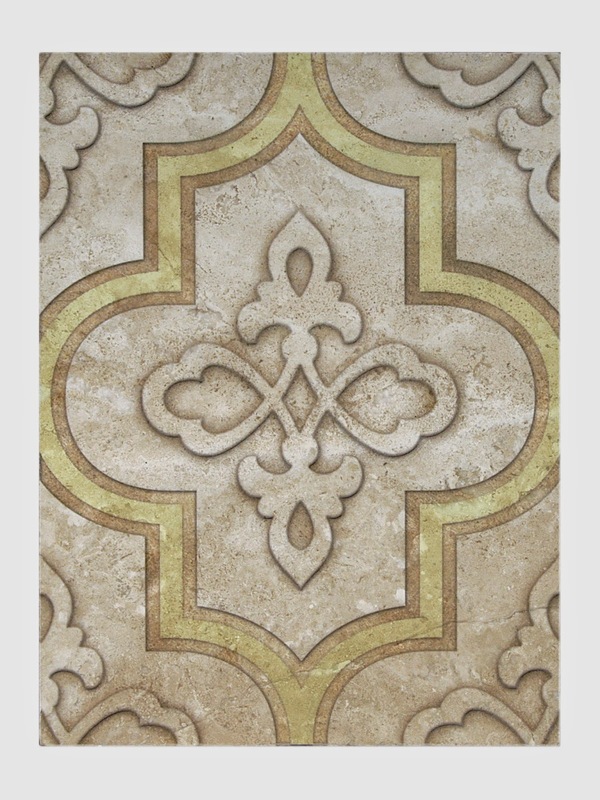 Like other signature Artisan Stone Tile products, the Kensington Collection is created using an exclusive artist-developed process for hand printing on natural stone. 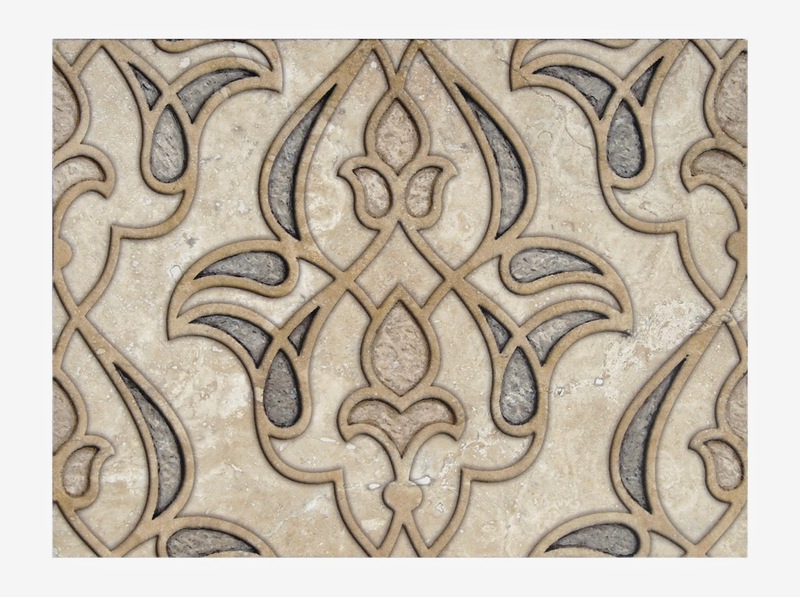 Available in 4x4, 4x8, and 6x8 tile on Honed Durango. Always in stock for quick delivery. 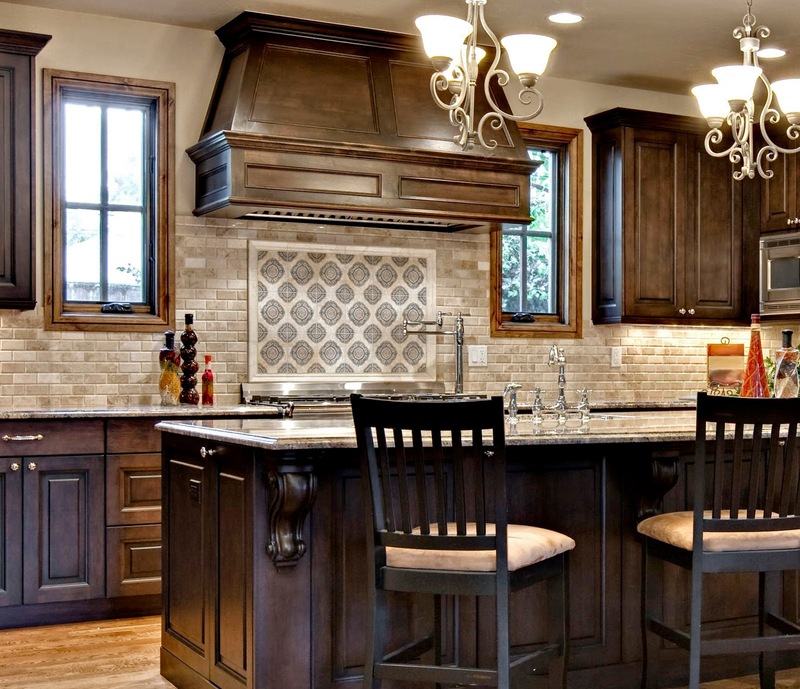 A simple dash of black color can transform and illuminate your kitchen or bath. 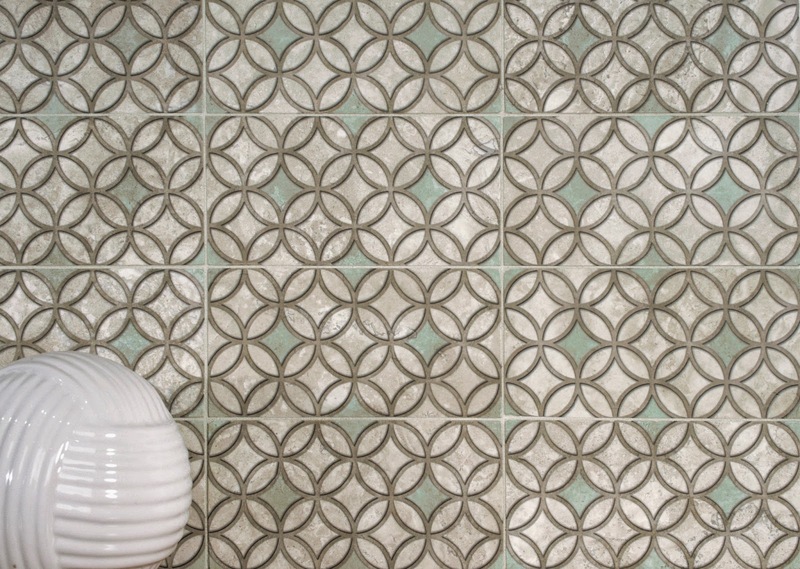 The Ravina Tile Collection subtly uses color to turn simple shapes into a sophisticated and contemporary design. If the black is too bold, choose the cheerful colors of Melon and Baby Blue to enrich your kitchen or bath. 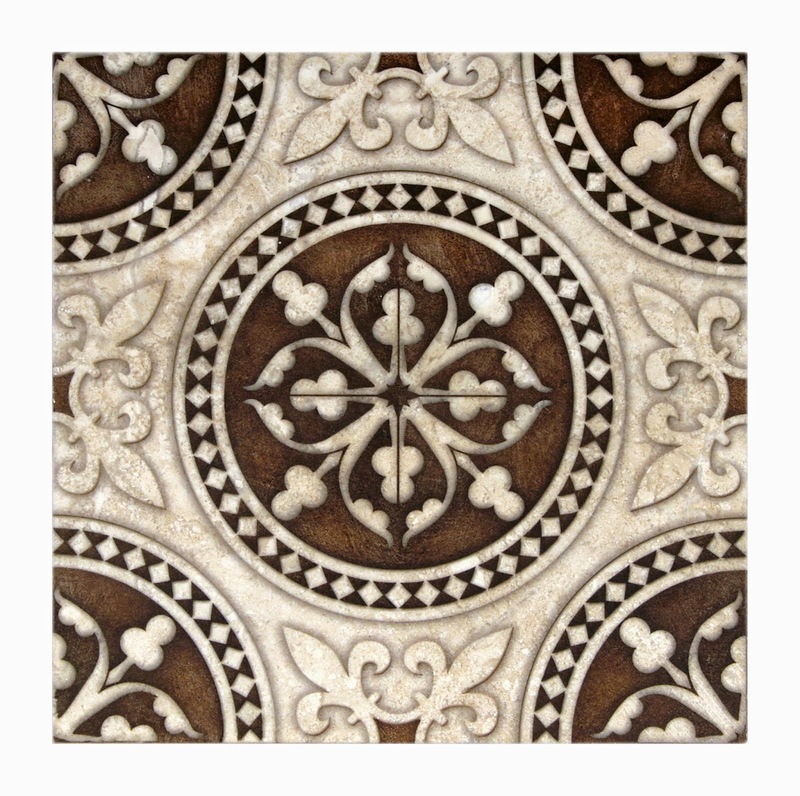 Like other signature Artisan Stone Tile products, the Ravina Collection is created using an exclusive artist-developed process for hand printing on natural stone. 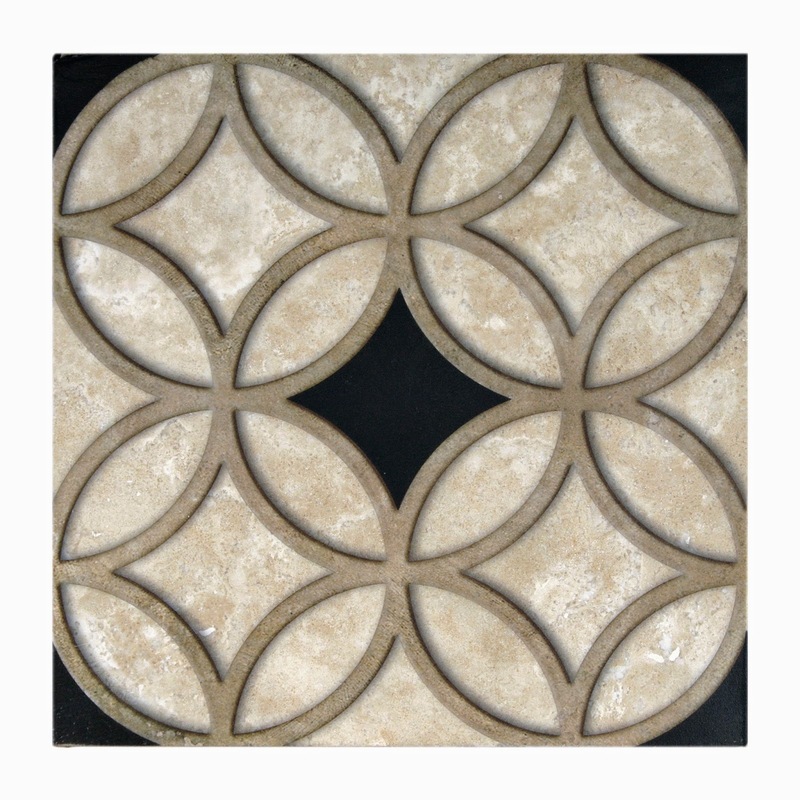 Available in 4x4, 4x8, and 8x8 tile on Honed Durango. Always in stock for quick delivery. Simplicity does not have to be boring. 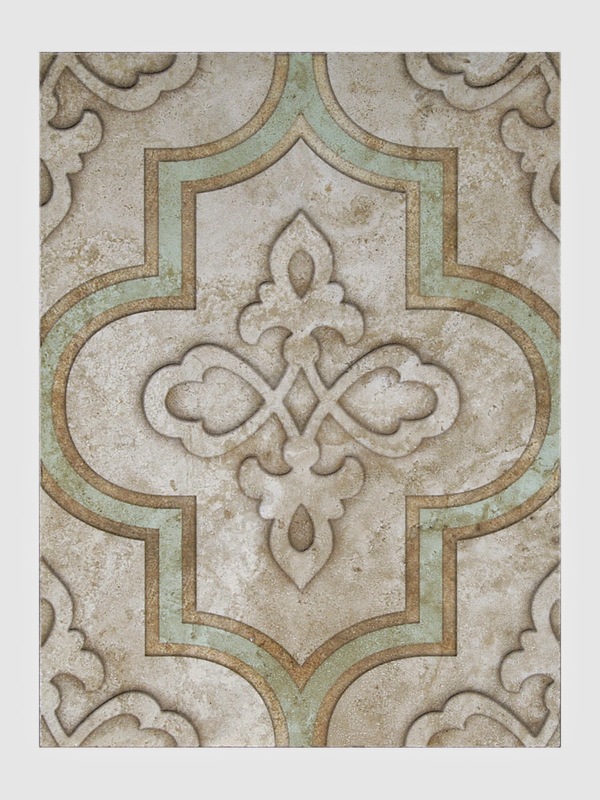 The Milano Tile Collection features a classic shape accented with strong colors and deep lines. 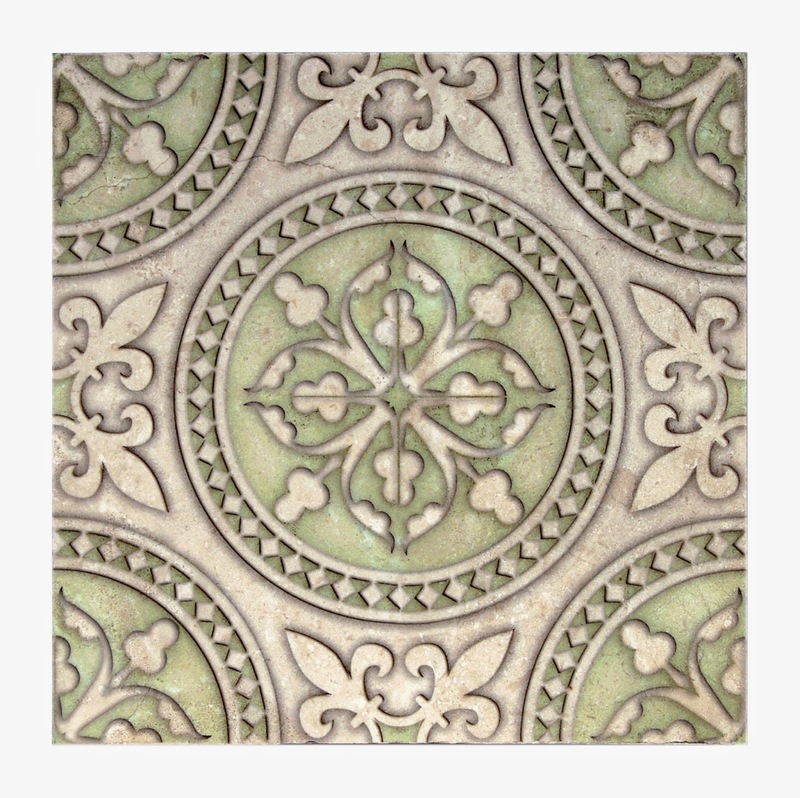 The detail in the artwork gives the impression of an etched tile, but the tiles are not dimensional. 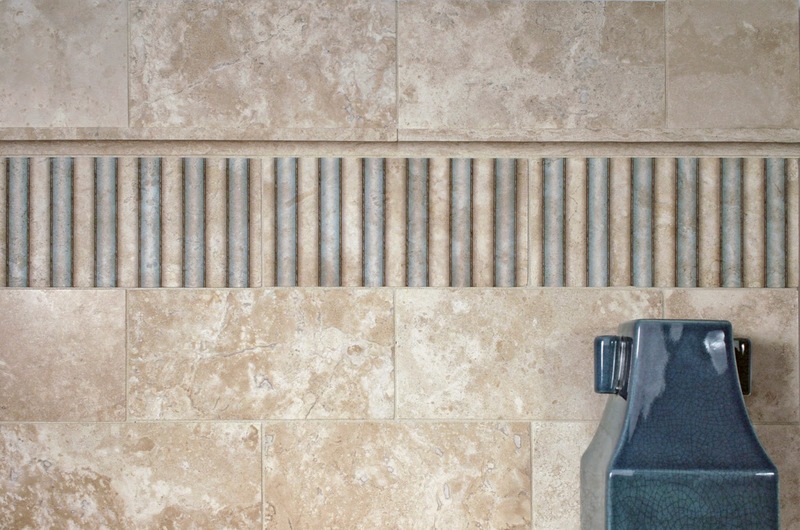 Choose the larger scale of the Grand Pattern to highlight the beauty of the natural stone; or use the Petite Pattern to add more visual interest to your room design. 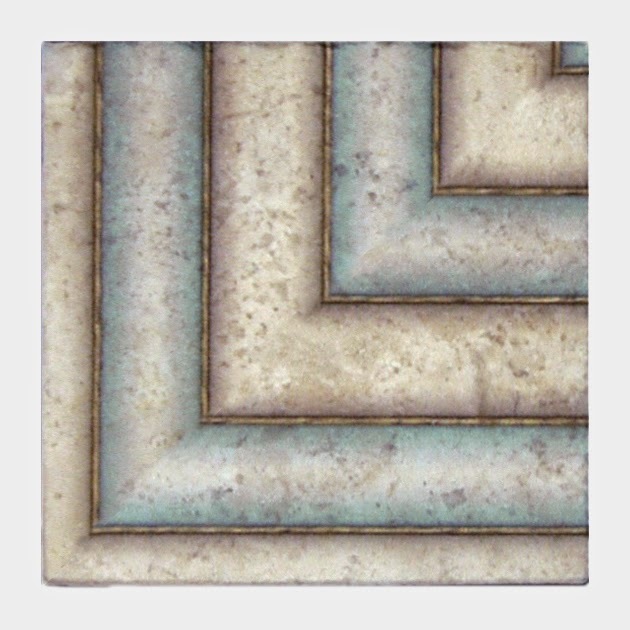 Like other signature Artisan Stone Tile products, the Milano Collection is created using an exclusive artist-developed process for hand printing on natural stone. 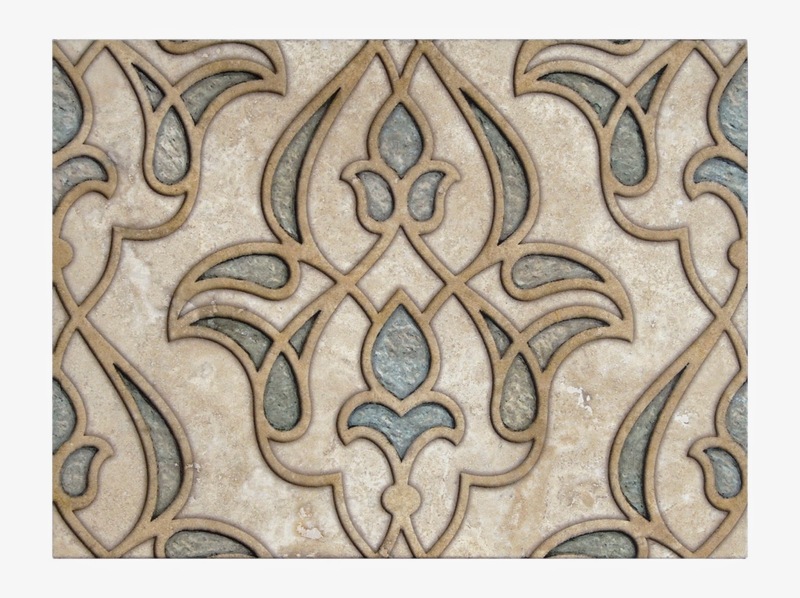 Available in 4x4, 4x8, and 6x8 tile on Honed Durango. Always in stock for quick delivery. These two beautifully designed collections work harmoniously together. 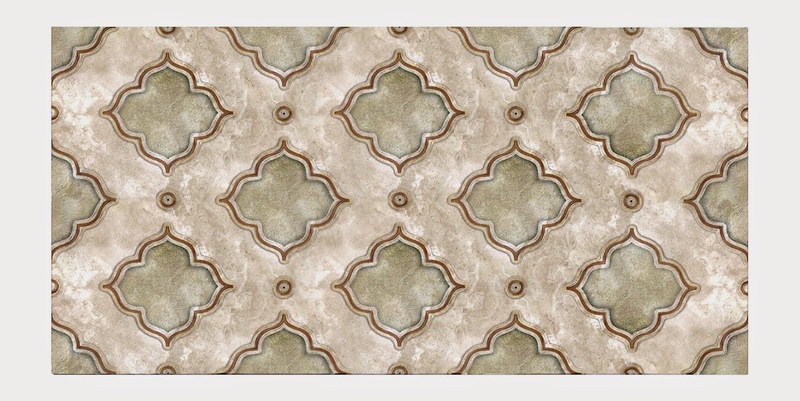 The Jewel Tile Collection has an understated elegance with its simple, ornamental design and subtle use of color. 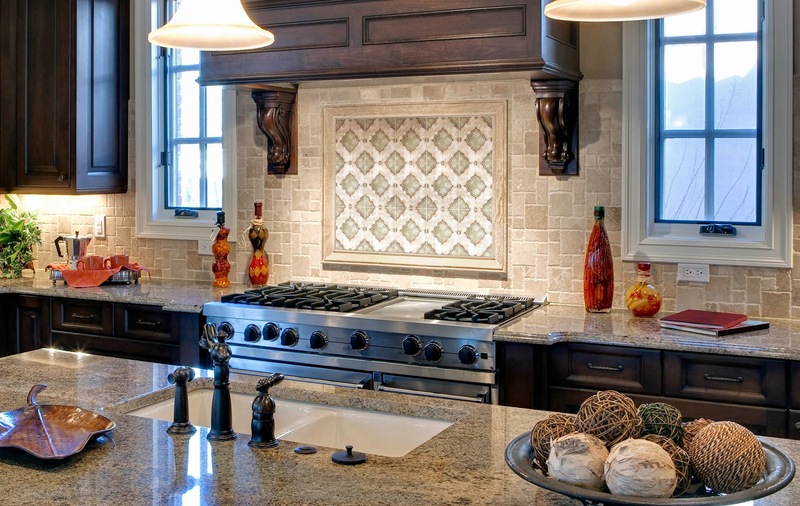 The beauty of the natural stone shows through, adding a warmth and richness to any kitchen backsplash or powder room. 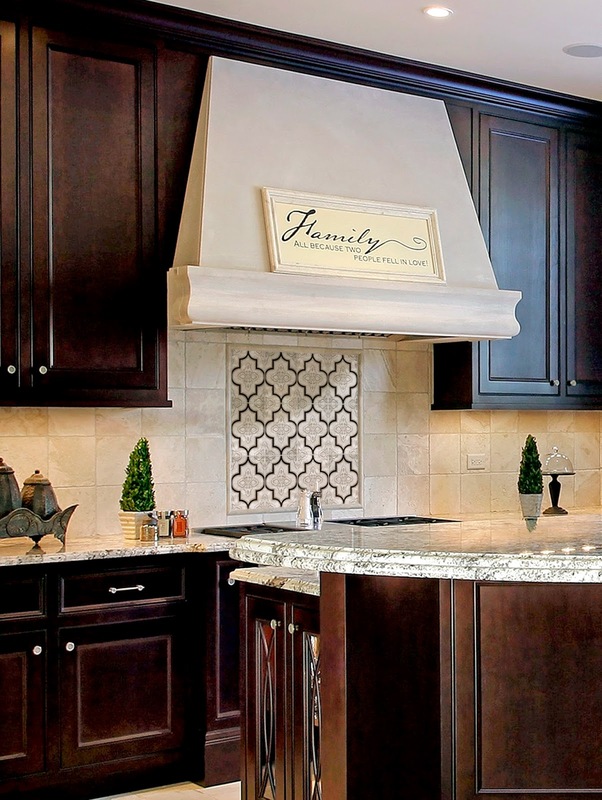 The Hampton Tile Collection adds high end sophistication to your kitchen backsplash or guest bath and will work well in a traditional or modern home. Make a statement with this striking and timeless design, in four unique colors. 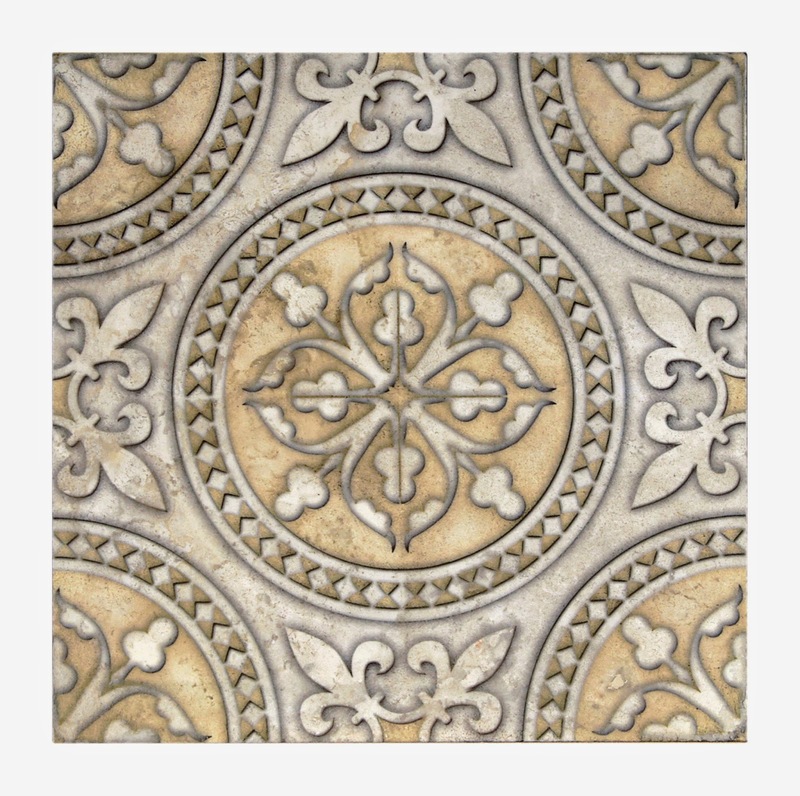 Like other signature Artisan Stone Tile products, the Jewel and Hampton tile collections are created using an exclusive artist-developed process for hand printing on natural stone. Available in a 2x2, 2x8, 4x4, 4x8, and 6x8 tiles on Honed Durango. Always in stock for quick delivery.